Christine started her career in the casting office of her favorite TV show, Moonlighting. 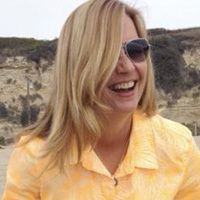 After four seasons, Christine moved to New York to work for famed Casting Directors John Lyons and Donna Isaacson where she became their Associate Casting director working on such award winning films as Barton Fink, The Hudsucker Proxy and Fargo. Eventually, John Lyons went on to produce for director Paul Thomas Anderson. He asked Christine to cast his films: Hard Eight and Boogie Nights. Christine won the Casting Society Award for Boogie Nights and Oscar nominations followed for Burt Reynolds, Julianne Moore and Paul Thomas Anderson. The film became a spotlight for some of the most talented actors of a generation. Christine went on to cast for Bob and Harvey Weinstein on such movies as Kevin Smith's Jay and Silent Bob Strikes Back and Scary Movie (where she discovered Anna Faris). She was then at Warner Bros. where she cast the $100M movie, Deep Blue Sea, Thirteen Ghosts for Joel Silver and Welcome to Collinwood for George Clooney. The Cullen Brothers pulled her back into television where she cast the show Lucky for F/X and she found the then unknown, Craig Robinson. In total, Christine has cast more than 50 feature films and television projects. Following in her mentor's footsteps, she helped set up the Indie Cult film, Thursday (Aaron Eckhart and Thomas Jane) for which she received her first producing credit and second nomination for a C.S.A. award. Four years ago, she started "Indie Girl Consulting" and created the popular Facebook Blog that has more than 40,000 followers. She is currently creating a second blog for the Jewish Journal based on her book "The Wandering Shiksa". Christine Produced the feature film Married Young with Daniel Kaufman and Morey Levovitz. It stars David Fynn (Currently in School of Rock on the West End), Vanessa Lengies, Ever Carradine, Lucas Neff, Max Beesley, Jayson Blair, John Pankow, Nancy Travis and Gary Cole: The story of a man, his pregnant wife and his animated alter ego, MARRIED YOUNG is a poignant comedy about what it takes for a husband not to be a selfish douche bag. Married Young is currently in post -production.